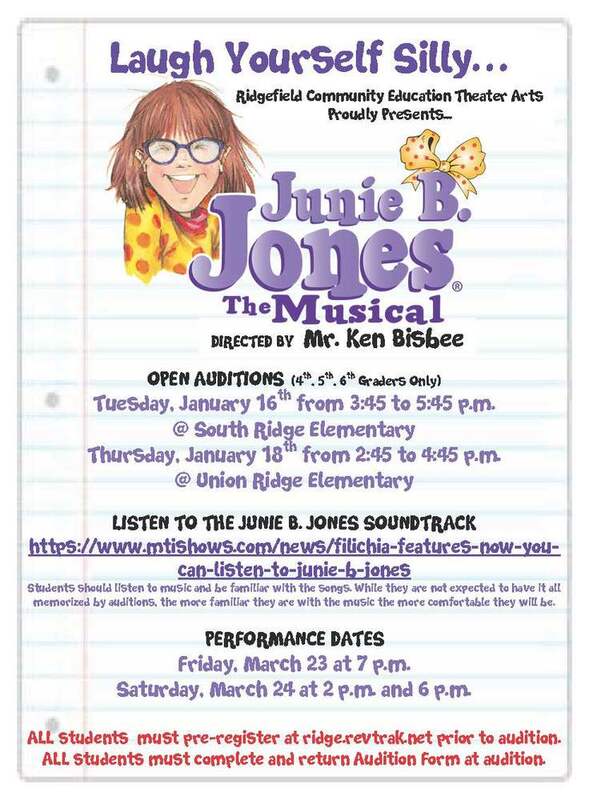 “Junie B. Jones – The Musical” will be holding open auditions for 4th, 5th and 6th graders on Tuesday, January 16th at South Ridge (3:45-5:45 pm) and on Thursday, January 18th at Union Ridge (2:45-4:45 pm). Interested students must pre-register at https://ridge.revtrak.net/. No payment is required until the cast list is posted. 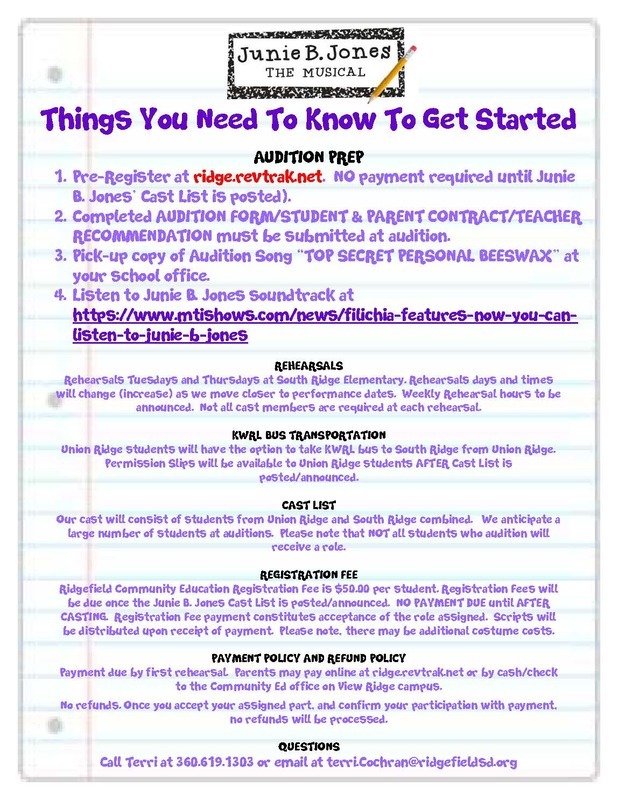 To prepare for the auditions, it is highly recommended that students pick up a copy of the audition song “Top Secret Personal Beeswax” at their school office and listen to the Junie B. Jones soundtrack to get familiar with the songs. Questions? Call Terri Cochran in Community Education at 360-619-1304 or via email at terri.cochran@ridgefieldsd.org.